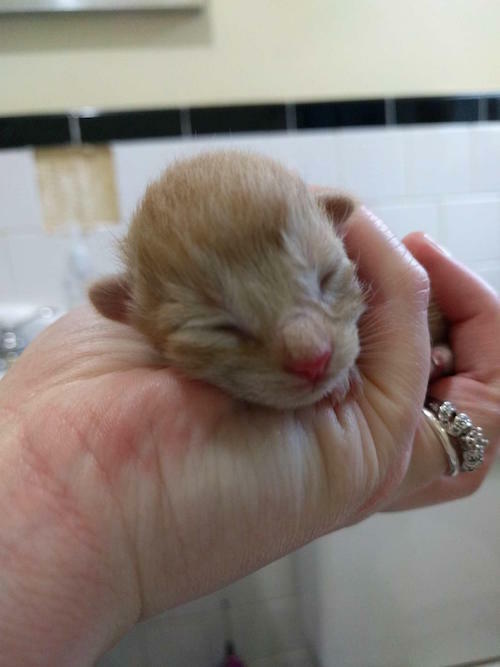 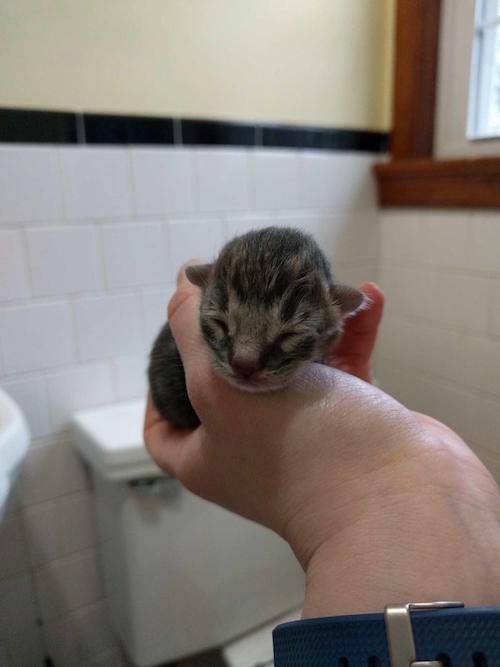 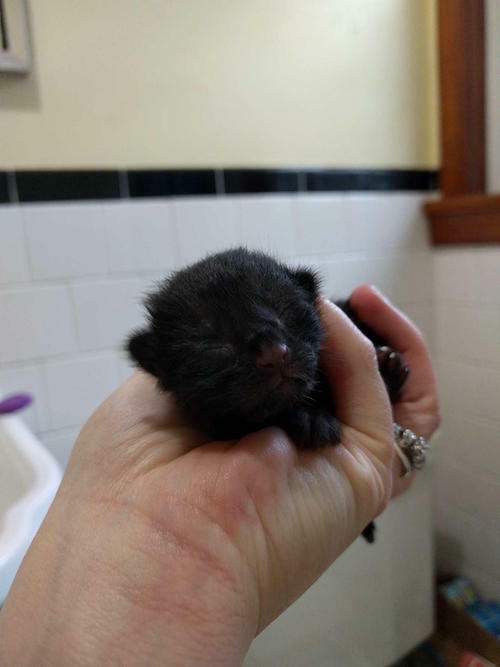 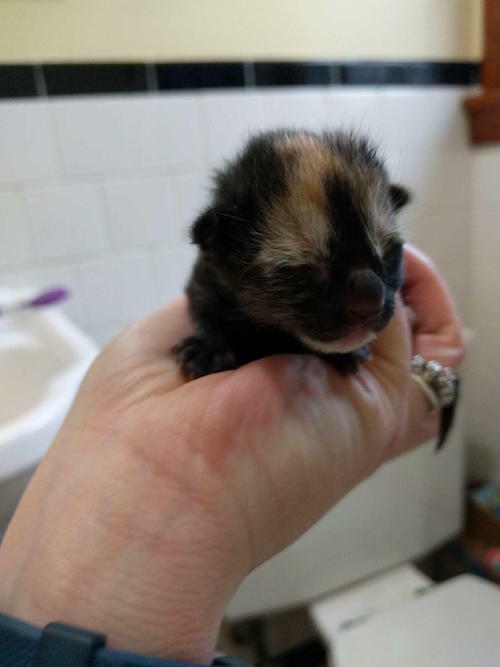 Two co-workers found an abandoned cat who was pregnant. 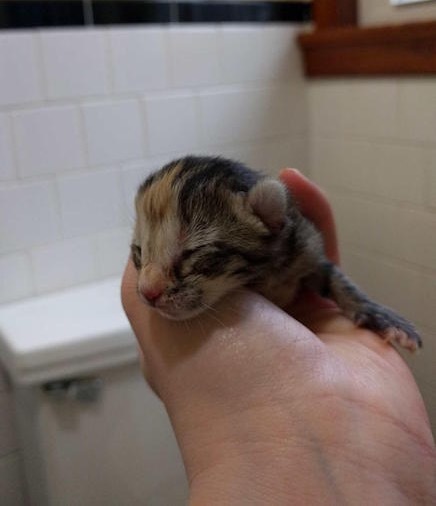 The pair decided something needed to be done so they rescued the kitty, who herself was rather unique, she was calico with a bobtail. 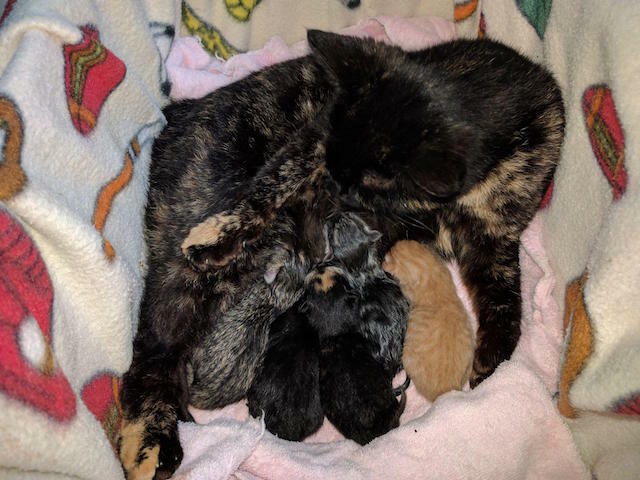 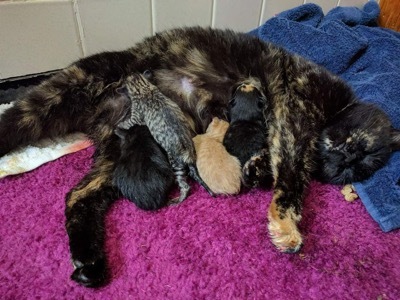 They took her to safety and it wasn’t long before she gave birth to five kittens, each one different from the other.